Posted on December 15, 2016 at 2:20 pm. Randolph’s running club, the Randolph Runners, was selected from 280 applications from across the country to receive a 2016 Kids Run the Nation grant. The $750 grant will be used for uniforms and other supplies. Randolph Runners, now in its third year, is coordinated by teachers William Palacio, Sarah Pressman, Rob Harrington, Audrey LeVault and Stephanie Ryan, who volunteer their time to train students for a final race, which includes a one-, two-, or three-mile challenge. The Kids Run the Nation Program is a multi-week, gender neutral, youth running program designed for children in grades kindergarten through sixth grade. The Swanson SGA STAR sponsored the Pennies for Patients drive to raise funds in support of the Leukemia and Lymphoma Society and in honor of Henry Burneson, a Swanson alum who passed away from leukemia in October 2015. 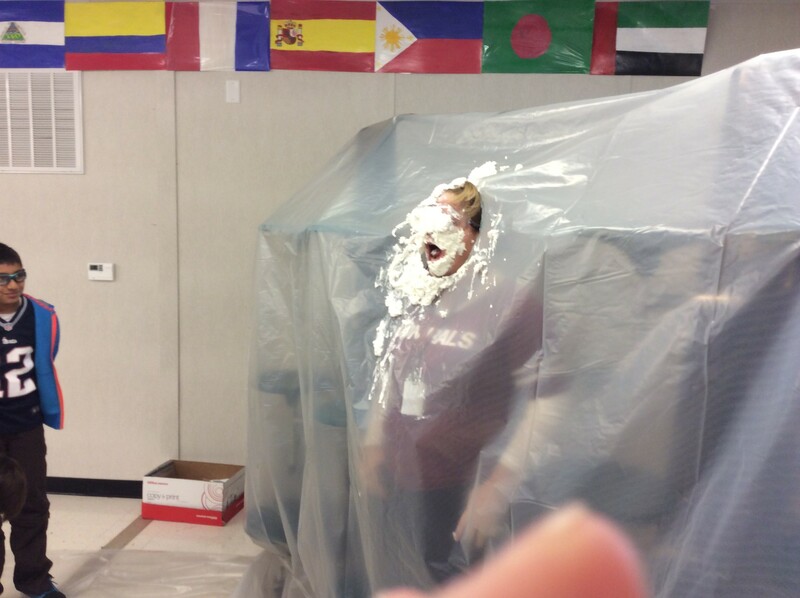 As an incentive, Principal Bridget Loft challenged the Swanson community raising $1,200 for this cause. Students rose to the challenge, raising close to $1,600 and as a result, Loft allowed students to throw whipped cream “pies” at her. Barrett fifth grade teacher Allyson Greene presented “Digital Media Resources in the Elementary Classroom” to RESET volunteers. The presentation was geared for the retired scientists and engineers who visit local schools and teach science lessons to elementary students.